Description: The article deals with the accuracy rating of the frequency ratio measuring instrument by the way of the crossing number counting with the boundary signal in influence term of the fluctuation noise. Aleshin, G.V., Bogdanov, Iu.A. and Kolomiitsev, A.V. 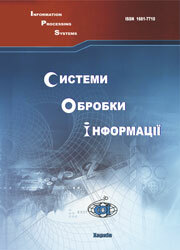 (2002), “Otsenka tochnosti izmeritelei chastoty v usloviiakh vozdeistviia fluktuatsionnykh pomekh”, Information Processing Systems, Vol. 2(18), pp. 166-169.